Mark D. Rasmussen represents senior secured, first lien, second lien and mezzanine lenders as well as lead arrangers, administrative agents and private equity sponsors in all aspects of commercial finance deals, including cash flow and asset-based credit facilities and restructurings and workouts of troubled credits. 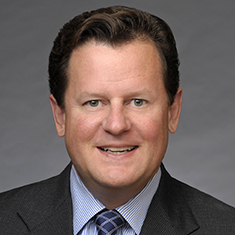 Prior to joining Katten, Mark spent nearly 20 years at a large Chicago-based national law firm where he was a partner representing foreign and domestic banks, secured lenders, administrative agents for lender groups, financial institutions, funds, insurance companies, indenture and corporate trustees, shareholder and bondholder groups, and other creditors in commercial loan workout and restructuring matters (including negotiation and documentation of related loan documents) and bankruptcy proceedings throughout the country and across a diverse spectrum of industry sectors, asset classes and transaction types. Mark advised clients exploring strategic alternatives involving distressed businesses. He further counseled lenders and corporate trustees on bankruptcy aspects of securitization transactions and on their rights and remedies under loan documents, note purchase agreements, International Swaps and Derivatives Association (ISDA) swap agreements, indentures, and subordination/intercreditor agreements. Mark also represented his clients in litigation arising out of bankruptcy proceedings or relating to defaulted loans and securities. He has appeared on behalf of his clients in receivership proceedings and pursued collateral foreclosures and dispositions outside of bankruptcy. Prior to his restructuring practice, Mark spent five years in a national litigation firm as a commercial litigator focusing on business litigation in state and federal courts throughout the country.